Pakistan is home to some of the world’s most refined artists, artisans, and craftsmen. These silent but masterful workers constitute Pakistan’s small-scale industries which develop a foray of products like carpets, furniture, jewelry, and ceramics. The artisanal industry as a whole contributes around PKR 50 billion to our country’s GDP and provides employment to over 250,000 people. However, most of the artisans do not have the skills required to promote their work to a larger audience. They lack connections which could otherwise bring them huge number of buyers and digital skills through which they could sell their products online to anyone around the world. Most Artisans have to rely on their own judgment or a middleman to connect them with potential customers. This isn’t the most effective way and tends to put a hardworking artisan at a disadvantage. Here enters Artsy – a budding startup with a vision to connect artists and craftsmen with buyers directly. Artsy, founded by Mateen Ansari in January 2016, is a website with a companion mobile application where artisans can upload their products for sale to interested buyers. The platform allows artists and craftsmen to reach a whole new category of customers unavailable to them before. Once a person partners with Artsy, their products are shared on the website under a relevant category. Like on any other e-commerce store, people can then browse through or buy the available items. For every sale made via their platform, Artsy takes up to a 30% cut. However, the startup claims that this number will go down once they have more vendors. The idea for Artsy came while Mateen was working on his venture called Kachee Goliyan – a popular Facebook page for witty comics. Mateen noted that when he and his partners would try to sell their comics to an interested buyer the agent involved would make twice as much as they made. He noticed a similar contrast in other art professions where artists and craftsmen suffered at the hands of a deceitful agent. Artsy currently has 150 vendors on-board with a collection of 2,500 items. Artsy takes a 30% share off every item sold via their platform. Artsy is currently a team of 8 people working different areas of Sales, Marketing, Customer Service, and Operations. In the beginning, to create more traction towards their platform, the team personally reached out to artists and vendors in Karachi and Islamabad in order to educate them on how Artsy would actually benefit them by opening up a great revenue stream for them. As of now the platform has 150 vendors/makers on-board. 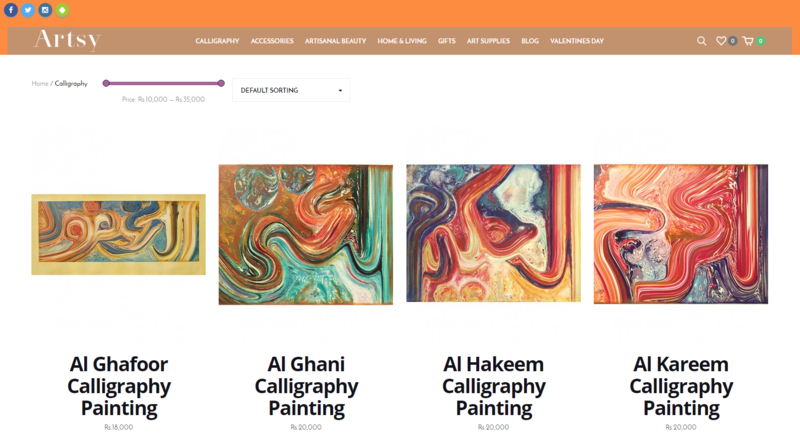 Artsy not just promotes paintings and traditional artisanal work, a large chunk of their 2,500 item collection includes hand-made product in the categories of Beauty,,Home Decor, Furniture, Wall Decor, Accessories, and Arts Supplies. The most popular items on their platform are from the categories of Home Decor and Artisanal Beauty. Being a young comic artist himself, Mateen recognizes the need to promote others like himself. Hence, the Artsy product database also includes contemporary pieces created by young Pakistani artists and makers. By the end of 2017, they are hoping to reach a target of 10,000 transactions and 4000 products in their database. The main reason why Artsy joined Telenor Velocity was to tap into both potential vendors and buyers. Their stint at Velocity has proven to be fruitful because it allowed them to leverage Telenor’s 40 million subscriber-base to their advantage. 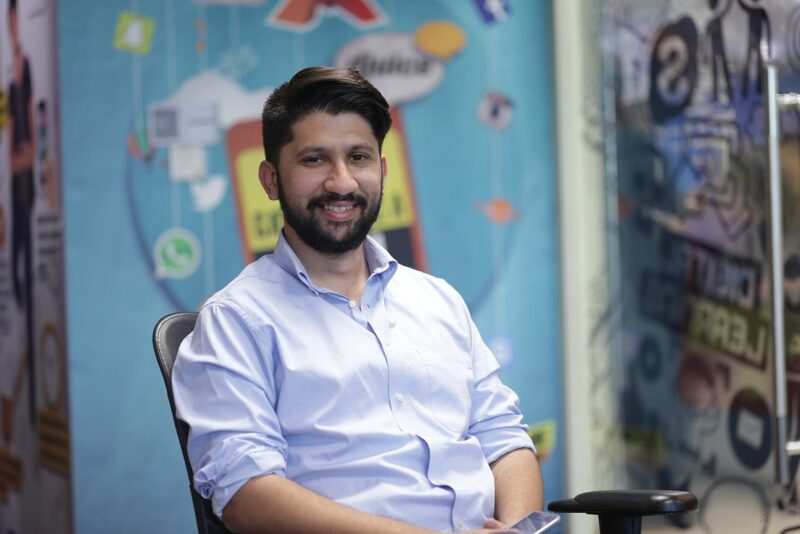 Telenor has helped run multiple SMS campaigns for them; the most recent one in Roman Urdu was able to garner more customers to their website increasing their sales by 25%. Artsy is currently working to increase their site’s traction. They aim to close 2017 on a high note with a target of 10,000 total transactions and 4000 products in their collection database. Furthermore, they are also aiming to open small pop-up stores in order to expose their vendors’ items to more customers. For this year they are hoping to open up two stores in Karachi which will be followed by small stores in all big cities across Pakistan. This branded content has been made possible by Telenor Velocity. For more details on branded content hop on to this page and read our ethical guidelines.